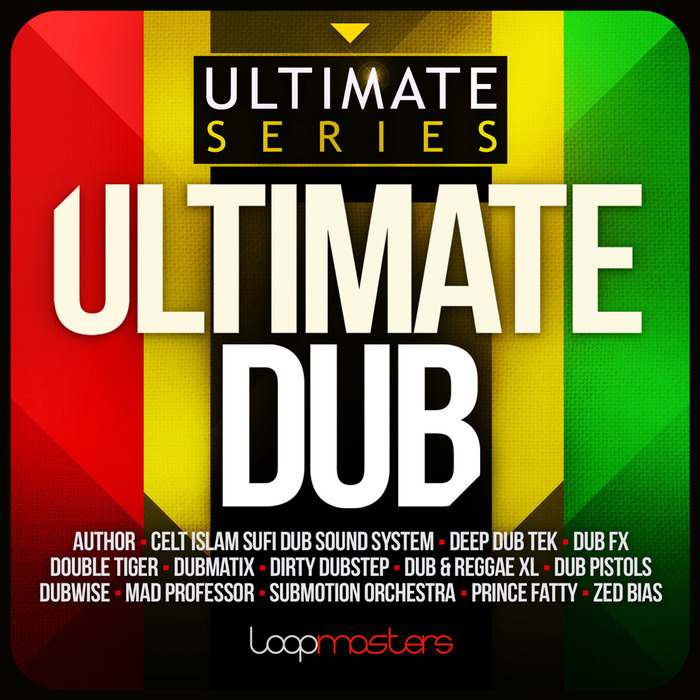 Loopmasters present Ultimate Dub, a hand-picked collection of the finest Bassline Bizness and Top Heavy Riddims from the best-selling packs released to date. Featuring sounds from Rocksteady artists at the forefront of the Dub scene including Dub Pistols, Author, Prince Fatty, Dub FX, Dubmatix, Mad Professor, Razaman and many more, guaranteeing the crowd give you some signal! At a gargantuan 3.10 GB, Loopmasters bring you an expertly crafted selection of top-notch royalty free samples ready for your Duplate VIP. 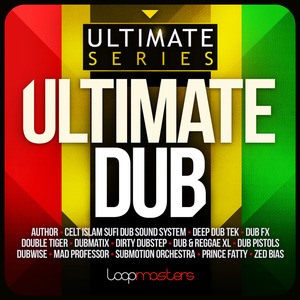 Ultimate Dub has everything you need to make the Dancehall Shake and the Bass Bins Topple with enough Loops, One shots and Multi Samples to bring out the cool ruler in you and set the roof on fire! Included in the collection are a selection from: Author: Dubstep Colours , Celt Islam Sufi Dub Sound System , Deep Dub Tek, Dub FX: Vocal Beats, Bass And FX Vol 1 , Double Tiger: Horns Of Dub ,Dubmatix Presents Reggae Soundclash , Dubmatix Presents Jungle Renegade, Loopmasters Present Dirty Dubstep , Dub & Reggae XL , Dub Pistols: Smoking Dubs , DubWise , Dub & Reggae XL Vol2 , Mad Professor Reel to Reel Reggae , Mad Professor Reel To Reel Reggae Vol 2 , Dub And Reggae Sound Station , Dub & Reggae Sirens , Submotion Orchestra: Electronic Soul ,Twisted Dub , Prince Fatty Crucial Dub , Rasta MC Vocals and Zed Bias Deadly Dub Constructor. In detail expect to find an astonishing 2000 Wav files, consisting of 1000 Loops, including 150 Bass Loops, 159 Drum Loops, 124 Keys Loops, 97 Horn Loops, 93 Percussion Loops, 89 Mixed Synth Loops, 80 Top Loops, 52 Guitar Loops, 17 FX Loops and 15 Vocal Loops. There are 1000 Single Hits including 37 Bass Hits, a whopping 293 Drum Hits (33 Cymbals, 41 Hats, 55 Kicks, 78 Percs, 24 Rim and 62 Snares)., 151 FX and Siren Hits, 68 Instrument Hits, 20 Synth Hits, and 105 Vocal Shots and Phrases. Then we have 13 Multisampled Instruments, 10 Pre-Made Drum Kits , 7 Bass Multi Samples, 4 Drum construction kits and 8 track construction kits. A massive 173 of included sampler patches are included and formatted for NNXT, Halion, Sfz, Kontakt and Esx24. Ultimate Dub brings you rhythms from 63 to 180 BPM, in a host of musical keys using a plethora of classic Dub Instruments including Rhodes Electronic Keys, Slap Bass, Clavinova, Muted Guitars, Moog MS20 Synthesizer, Dub Sirens and Brass. Don?t forget your mixing desk is a musical instrument in Dub too! Dub has been influenced by, and has in turn influenced a huge variety of genres making Ultimate Dub suitable for everything from Reggae to Techno, Jungle, Drum and Bass, Dubstep, House, Punk, Trip Hop, Ambient and Hip Hop. Ultimate Dub brings you the best in Dancehall vibes, in one epic collection. Get ready to burn up and skank your way into the night.